Did you know that excess clutter can impact levels of stress, ability to focus and even cause you to gain weight? How about that companies report that they are less likely to promote someone with a messy desk? While it may be hard to believe, it’s true. The space we reside in can be a reflection of our minds. The more clutter, confusion, and complications that exist on the outside, the more likely it is you’ll find more of the same on the inside. But don’t worry, making a few small changes to simplify your life will have you feeling rejuvenated, inspired, and worry-free in no time. 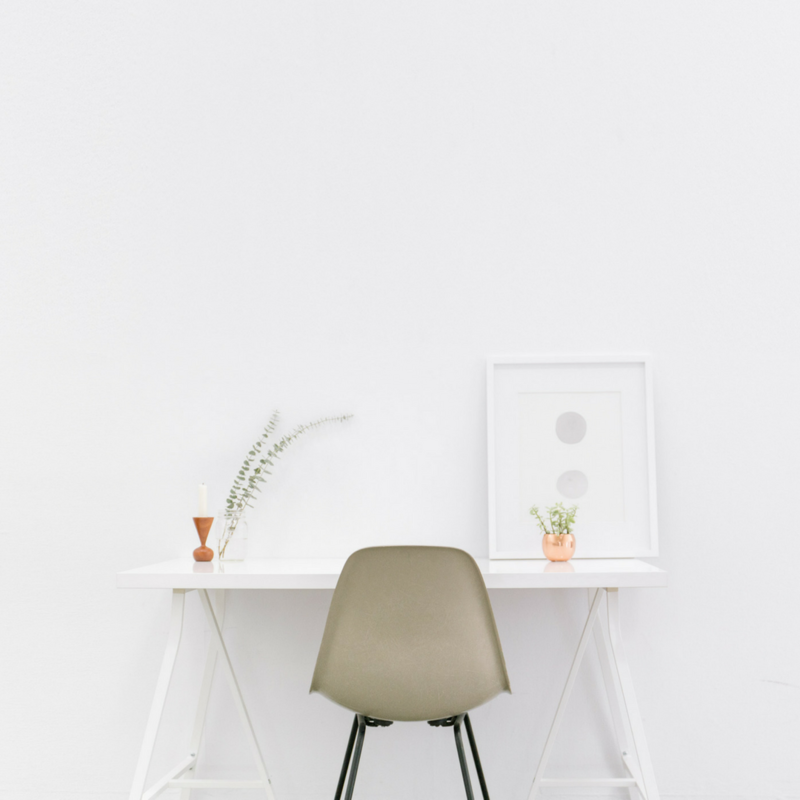 Aside from the obvious benefits of being clean, neat and orderly, the mental and physical incentives to keeping things simple can immensely impact your overall well-being. Unsubscribe from unnecessary emails. Incentive emails from retailers and other vendors can really jam up an Inbox. If you spend a good chunk of your time deleting incentive and e-newsletter emails, consider unsubscribing. Set aside one hour and tackle the emails once and for all. Once the email deleting subsides, you can find new ways to spend your time. Step away from your Inbox and go for a walk instead! Do one thing at a time. While the temptation to multi-task can be difficult to resist when to-do lists are long, one of the quickest ways to keep things simple is to focus on doing just one thing at a time. Pick a task, and commit to doing it start to finish with no distractions (that means cell phones, too). Set a timer to put your mind at ease knowing you won’t hinder progress by concentrating on just one activity. Before you shop – plan. Our lives become more complicated and cluttered as we increase our collection of material things. Next time you go shopping, prepare for what you want and commit to only looking at items on your list. Resist the urge to browse. If you have a plan, you’re more likely to keep it simple and stay focused. Your wallet and bank account will thank you. Clean out your wallet/purse. Set aside 10 minutes to clean up by sorting, shredding and tossing old receipts, papers, and gum wrappers. Get rid of old credit or reward cards that you don’t use anymore. Carry a minimal amount of cash and cards, and store the rest at home in a safe place. You’ll be surprised how light and clean your wallet or purse feels. This clean-up exercise also works great on gloveboxes and center consoles. Clear off your desk, countertops, and tables. Start by picking one. If you tend to use your kitchen countertops to store papers, mail, bills, and other things, focus there first. Carve out 30 minutes to organize, file, or toss all items currently being stored on your counter. Wipe it down clean, and enjoy the newfound clarity derived from de-cluttering your space. For an added bonus, replace it with a bright green indoor plant or a fresh bouquet of flowers. Just remember, a simplified life means a simplified mind. The less clutter and chaos that goes on in your head, the more opportunity you have to experience life and appreciate every moment. Sarah Merkle is an author, health coach, yoga teacher, and motivational speaker on a mission to transform lives. She can be reached at sarah@zen4.co.